Moving takes its toll on your life, from the general chaos it causes in your home, to filling up your space with boxes, to forcing you to eat pizza for a week because your kitchen utensils are packed away. Moving during the fall season can also detract time from creative endeavors, like making fun Halloween costumes for you and your kids. Don’t despair if you haven’t had the time to put together those All Hallow’s Eve get-ups yet. 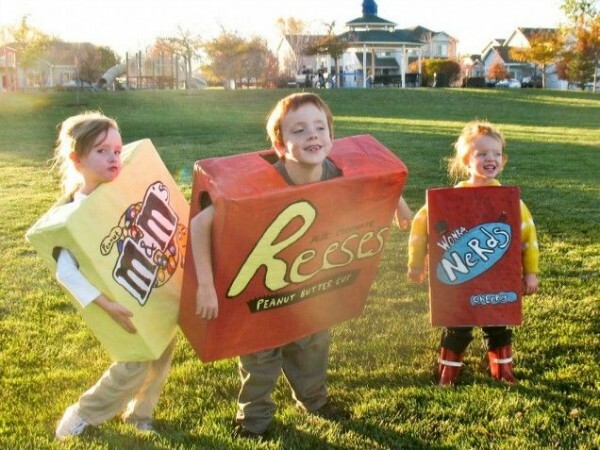 You can use your leftover moving boxes to create some fun, fantastic, and super-simple homemade costumes that will be ready for trick-or-treating in no time! The only thing less crucial than finding a great Halloween costume is the sweet, sweet candy swag you receive for the effort of dressing up. Use those leftover moving boxes and a bit of clever painting to let your kids advertise the kind of candy they want most. Then head off to collect as much of those sugary treats as possible. With some imaginative cutting and spray painting, you can dress the whole family as Pac Man and friends. The colorful video game ghosts are certainly more fun that the traditional white sheet ghosts, and there’s the added bonus of being able to chase each other around in homage to the vintage video game. Just don’t forget to add eye-holes to these clever costumes, or you’ll be running blind! 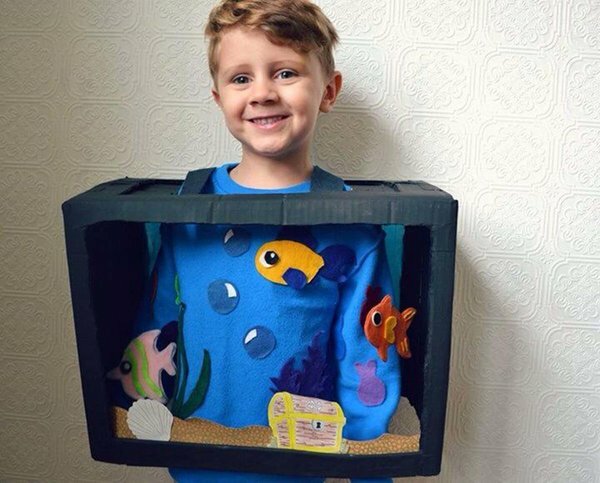 If you’re looking for a box costume that requires less artistic dedication, look no further than this fish tank ensemble. Just cut a hole in the top and front of the box, purchase a plain blue sweatshirt for the costume-wearer, and tape a few cute sea critters and bubbles to the sweatshirt. Voila! A costume that’s both simple and cozy for colder temperatures. Were you craving some spookier moving box attire? 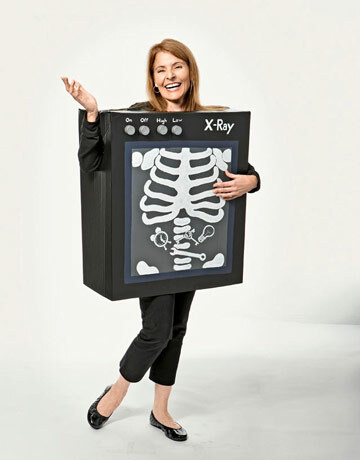 This excellent X-Ray costume should do the trick. Paint a box black and add arm and head holes. For those who aren’t so artistically-inclined, you can simply print out a picture of the torso bones and glue or tape it directly to the box. No drawing required! Of course, if you love to draw, then perhaps this Crayola Crayon Box is the right disguise for you. 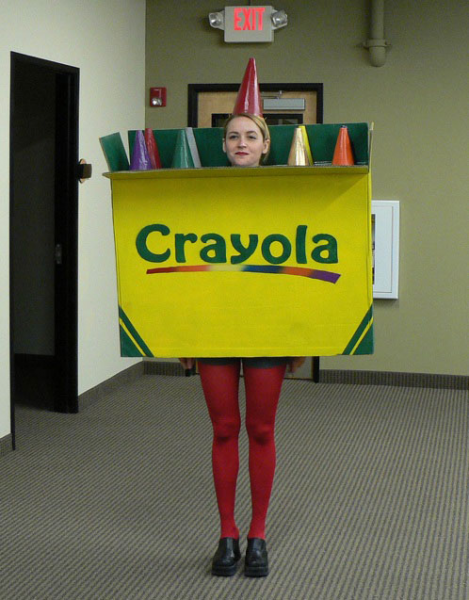 With some clever box-coloring and the use of bright paper cones, the only costume question you’ll be left to ponder is: should you also include that built-in crayon sharpener? What’s your favorite DIY Halloween costume? Share in the comments! NextPacking Specialists: Worth Your Money?